My Nan is seventy seven years old. And she rocks. She has one of the most impressive jewellery collections I've ever seen and a story to go with every piece. She once found, yes found, a diamond ring in a car park. She has no less then four wardrobes, and is the best colour co-ordinator I know. She still puts on her lipstick to go out, and gets her hair done regularly. It's now a very on trend shade of grey. Why all the talk about my Nan? Well I got to thinking about her after I discovered Ari Seth Cohen's blog, Advanced Style, a few weeks ago now. Advanced Style is, according to Cohen, a blog about capturing the sartorial savvy of the senior set. The blog, which Cohen launched in 2008, has the New York based photographer snapping pics of women, (and some men), aged from 60 to 100. And has resulted in a book, published in 2012, as well as a documentary, (funded through Kickstarter), which is hitting the film festival circuit this year. Pretty impressive, but there's more. Cohen collaborated with Coach earlier this year in a project that paired some of his regulars with bloggers Man Repeller, Susie Bubble and FrouFrou in some pretty cool videos. And perhaps most impressive of all is the Karen Walker campaign that featured Ilona Royce, Linda Rodin, Joyce Carpati and Lynn Dell, all Advanced Style regulars. If you haven't seen the campaign, check it out here. Cohen has a special affinity with these styling seniors, and it shows not only in the way this blog was established, but also in his continuing desire, and success, in showcasing these gorgeous and incredibly interesting people to the world. After trawling Advanced Style's archives and pondering the wonderful women, (and men), that he shoots, some quite regularly, I had a few thoughts bubbling away and wanted to share. I don't think it matters how old or young you are, what you're wearing or not wearing, what matters is having the confidence to get up in the morning and say yeah today I feel like wearing a tartan skirt suit and then doing it. Style doesn't require membership of a specific age bracket or geographical location. 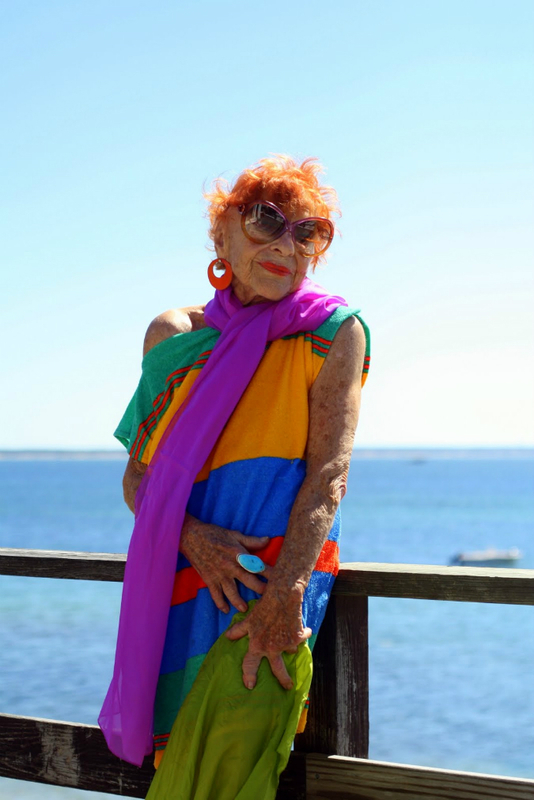 Style is the physical representation of our personalities, so why should it change as we get older? If anything it should get better, the older we get the more we know about who and what we are. The more comfortable we feel in our own skin, surely that means the more comfortable we feel wearing pretty much whatever the hell we want. And if that's turbans and false eyelashes, hand knitted jumpers and vintage YSL tartan then more power to us. 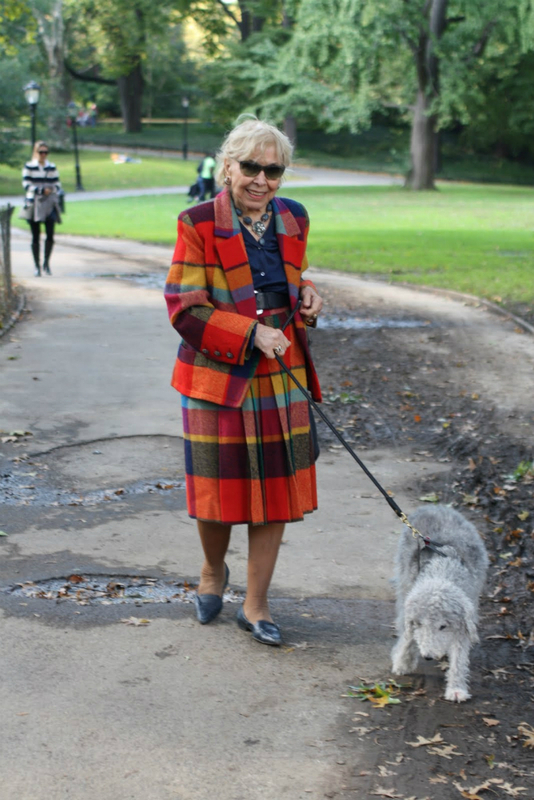 Some of these women are hitting ninety and they're styling! Our society is so youth focused that it's incredibly refreshing to see the world through the eyes, and style, of someone who has actually lived in it for more then two decades. Franky I'm looking forward to getting older. I plan on being that crazy lady with a million shoes, like a cat lady but with no cats. The one who refuses to give up her skinny jeans and mens shirts, regardless of how on trend they may or may not be in fifty years. And I'll probably still be wearing a fringe. Maybe Ari will take my picture, I'll keep my fingers crossed for that one.